Advances in medical science and practice over the last century have led to vast improvements in population health and longevity. But the hospital-centric, acute care-focused model in which most healthcare is delivered, in the U.S. and other developed nations, has changed remarkably little in that time frame. Intensifying population health threats and ever-rising care prices demand that this too, however, must change, if we are to thrive in the 21st Century. And it is changing, through thousands of innovative healthcare programs, organizations and systems across the country. In my work I often explore the impact of this change on healthcare providers and users. But it obviously affects healthcare regulators, too. So how do they learn what’s new, decide where to get involved, and how? To find out, I spoke with Professor Steve Field, Chief Inspector of General Practice at the Care Quality Commission, in London, England. Rebecca: What is the role of the Care Quality Commission, and your team within it? Steve: The U.K’s National Health Service (NHS) provides publicly-funded healthcare to all residents, and the Care Quality Commission is the independent regulator for health and social care in England. Just as the name implies, our job is to ensure the quality of care provided by the NHS here, and we do this by registering providers, then monitoring, inspecting and publicly rating the care they deliver. As Chief Inspector of General Practice, I oversee a team that regulates primary care and general dental care, wherever and however it’s delivered. That includes traditional delivery venues like GP practices and urgent care centers, as well as institutions like prisons and young offender institutions. The exciting thing is that it also includes emerging models and channels, where we’re seeing a lot of innovation. So we need to support that innovation, while ensuring quality. Rebecca: What exactly is quality care, as the CQC defines it? Steve: It’s a lot of things. At the most fundamental level, quality care is safe. It’s effective and always improving, according to current, evidence based guidelines. And it’s compassionate, which means patients are treated with dignity and respect, and involved in decisions about their treatment. Rebecca: That’s all crucial–and a very tall order. How can regulation help make it happen? Steve: We define what we expect of good and outstanding care, publish ratings for each service we inspect, and require that providers display their ratings. This kind of transparency is very powerful because it enables the public to make better informed choices, and it helps providers improve. When we celebrate good and outstanding care, people see what’s possible, and providers may be inspired to change. When we shine the spotlight on poor care, providers get clear feedback on how they need to improve. And our assessments can help qualifying practices get funding for improvement from the NHS. We know this approach works because we see practices improve from one assessment to the next. And in the worst cases, the CQC will not allow a practice to continue operating by withdrawing its registration, in order to protect the public from unsafe care. Rebecca: What kind of innovation are you seeing in U.K. healthcare today? Steve: Like the U.S., the U.K. needs to improve care effectiveness while reducing costs. So innovators are integrating across traditional boundaries to get people the right care, in the right place, at the right time. For instance the NHS “vanguard” delivery models aim to coordinate primary, acute, community and mental health services. And the Greater Manchester Health and Social Care Partnership seeks to address the broader determinants of poor health in its community. The public’s growing expectations for convenience and speed of access are also inspiring innovation. So we’re seeing proliferation of online primary care services, and consumer apps facilitating self-diagnosis, health behavior change and self-care. Rebecca: What’s the impact of all that change on your work? Steve: We need to evolve our knowledge in domains where innovation is accelerating, like digital delivery. Then there’s the fact that with more care integration, we’re looking at the intersections between disciplines and handoffs between services, not just distinct providers or services. So we need to work in a more integrated manner across inspection units within the CQC, and externally with the regulators of healthcare professionals, pharmacies, and other system inputs. Emerging services have less predictable performance trends than traditional services. So we monitor them especially closely by analyzing quantitative and qualitative information from a wide range of sources, including providers, patients, whistleblowers and the media. And we need to be in closer dialogue with them. Coupled with monitoring, dialogue helps us help innovators anticipate and address preventable issues. We’re not afraid to say, “we’re worried” if care is trending in the wrong direction. 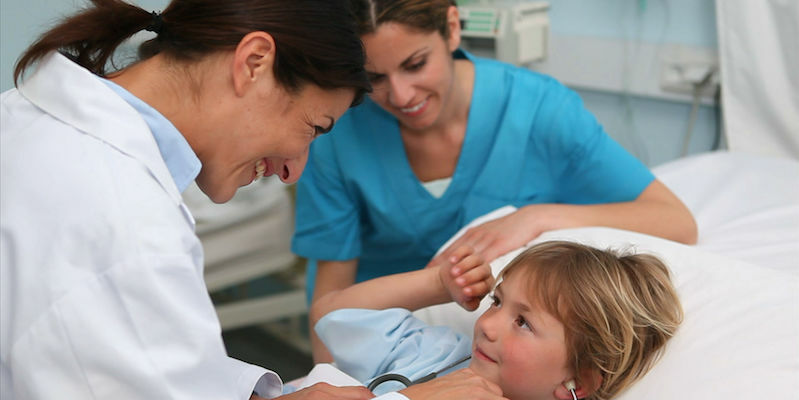 Dialogue also enables us to develop a mutual understanding of objectives with providers, and to collaborate with them, the medical profession, patients, and the public to uphold care standards that promote innovation, while ensuring safety and quality. Of course, the biggest impact of all this innovation is the pace at which we have to work. The landscape is more unpredictable from one year to the next, so we have to plan well, then be able to pivot quickly to address what’s not on plan. Rebecca: Can you tell us how you’ve applied this approach to some particular trends in healthcare innovation? Steve: Sure. The digital health sector is expanding rapidly here in the U.K., so we had to begin regulating providers of services like online medical consultation and prescribing, where they qualified as “Regulated Activities” for CQC regulation. We put together a cross-functional task force to design our approach, including primary care and pharmacy experts; and we tapped external digital medicine specialists to advise. The task force then engaged digital providers, The Royal Colleges and the British Medical Association in development of standards; and my unit trained up two dedicated inspection teams. Our approach proved robust early on when monitoring activities surfaced safety concerns with some online prescribers, and we had to inspect every registered service in a short time frame. Rebecca: You’ve said that the Theory of Disruptive Innovation is a helpful tool in your work. How is that so? Steve: Disruption Theory explains the circumstances in which innovation makes products in an industry more convenient, accessible and affordable. Understanding it can help regulators spot emerging innovations, and anticipate ways to support them in a way that protects the public. For example, the theory tells us that self-care, like healthy diet and exercise, could be disruptive to some types of medical care; and we’re seeing lots of new tech products designed to facilitate it. As consumer products, they don’t come under our regulatory purview. But maybe we could develop relationships with their makers, and share learnings from professional care delivery that could help them help consumers manage their own care better and more safely. We could also improve our understanding of the space, which would be valuable as devices enabling self-care, become increasingly integrated with professional care delivery.